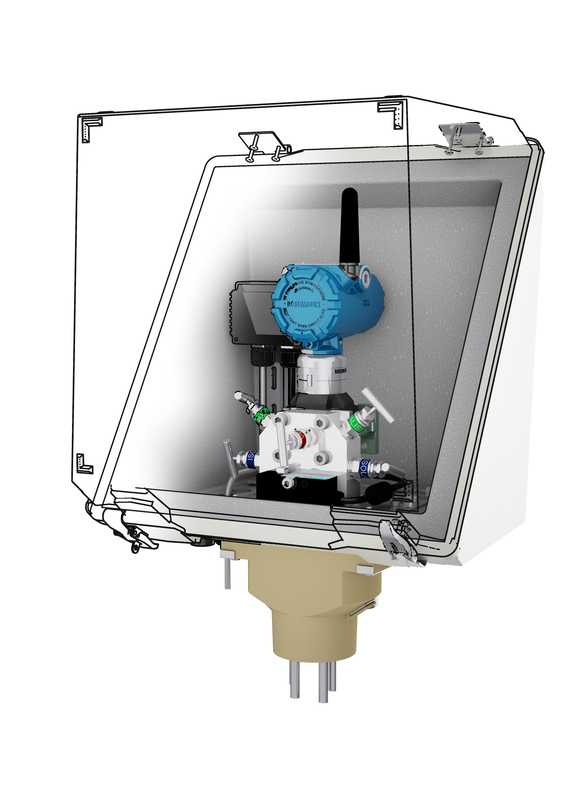 June 15, 2015 — Field instrumentation protection specialist Intertec is seeing increased customer demand for equipment housings to contain wireless process monitoring equipment in outdoor environments. The company attributes this partly to increased use of industrial wireless sensor network (WSN) technology, but mainly to the growing industry awareness that the glass-reinforced polymer (GRP) composite material it uses for all its protective enclosures is electromagnetically transparent. The tests were conducted using a model from Intertec’s Multibox range, but the same results are likely to be obtained from many of the company’s enclosures that use a similar form of construction, including its popular Diabox range. Both types of enclosure are moulded from hot-pressed GRP. They are optionally available in ATEX-compliant antistatic versions for use in hazardous environments and can also be fitted with an internal layer of polyurethane foam for additional thermal insulation – all of the materials are electromagnetically transparent and have no effect on signal reception or transmission. Many of the leading wireless process monitoring instruments on the market, including a number of pressure, flow and level transmitters, offer the option of local (on-instrument) or remote antennas. 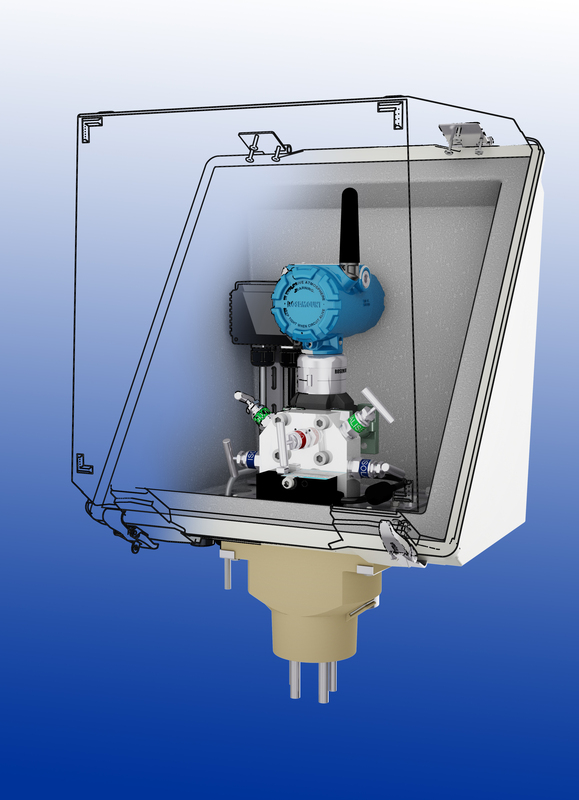 However, if the instrument needs to be housed in some form of enclosure to protect it against a harsh environment, this choice will not be available if – as is commonly the case – the enclosure is made from a metal such as steel or aluminium; its RF shielding effect will necessitate use of a remote externally mounted antenna to secure adequate signal strength. Aside from incurring additional implementation costs, use of an external antenna also involves drilling an extra hole in the enclosure – probably in its top, which is potentially the worst place for leaks – and leaves a delicate structure open to physical impact.